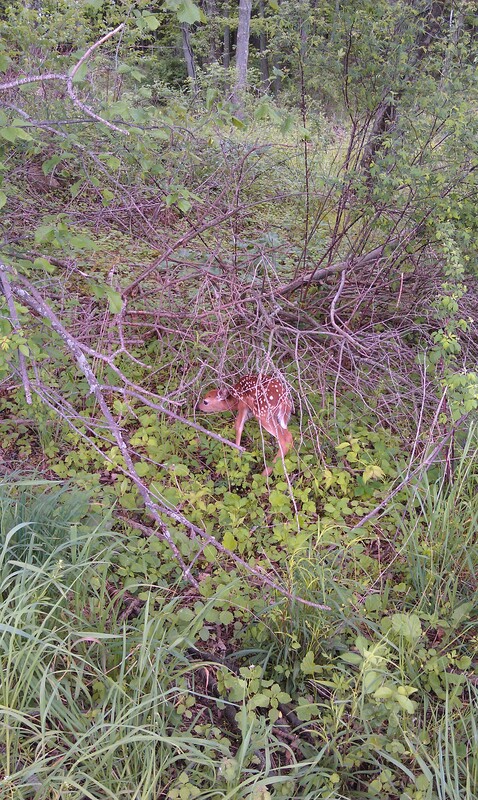 what you're going to find when you live out in the country. 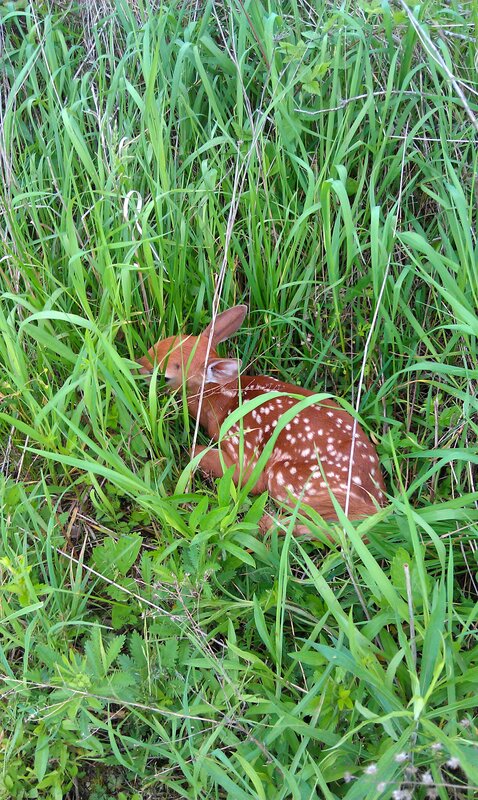 Shawn was mowing our walking path around our field when he came upon this sweet little thing. Isn't it the cutest ever? Shawn said is was about the size of a puppy. He tried to shew it out of the field and into the protection of our woods. After some coaxing, it finally hopped along. Hopefully it's Mommy came back shortly after. 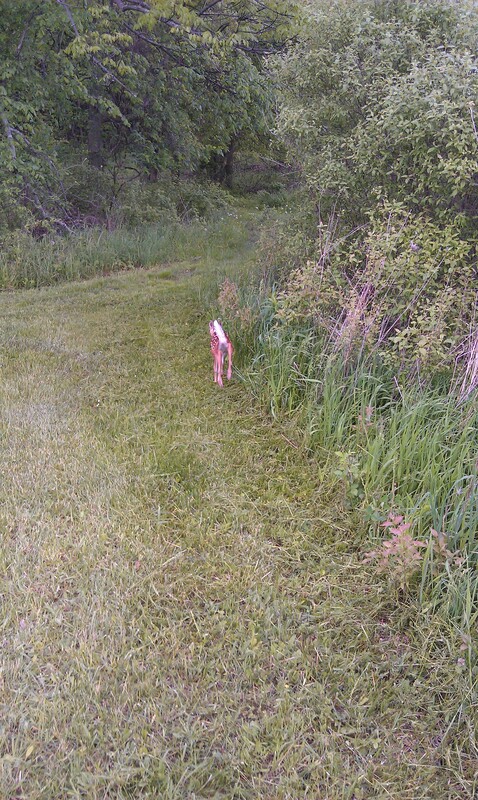 It was super exciting because even though we have a good bit of land and woods, we rarely ever see deer. We have noticed where they bed down at night on our wood line...but we very rarely see them during the day.